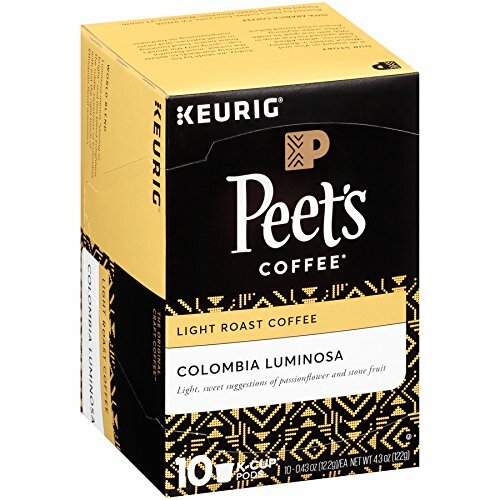 Colombia Luminosa is Peet’s first light roast with carefully selected beans chosen for their pleasant and mild characteristics. 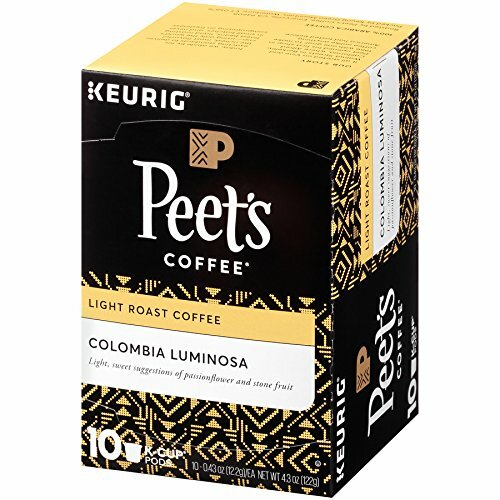 This bright blend starts with beans from the Huila region in Colombia’s highlands known for their smooth sweet character. The subtle taste is then layered with just the right touch of Ethiopia floral aromatics to create a luminous pairing. 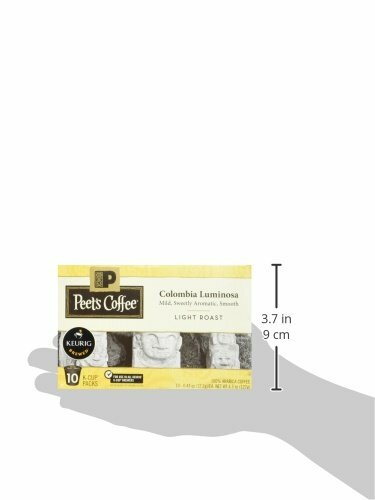 Full bodied and bright with delicately sweet aromas Colombia Luminosa is a light roast with exceptional flavor that is distinctly Peet’s. 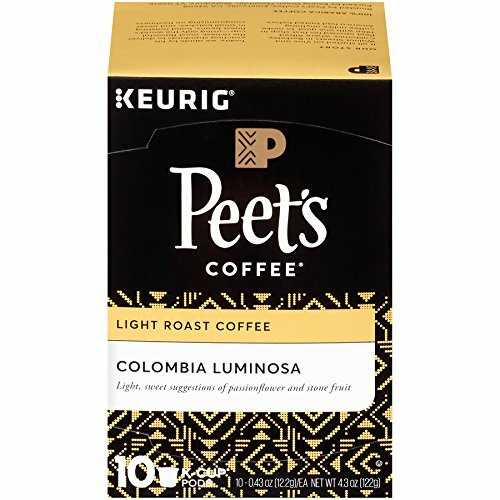 Convenient K-Cups offer an easy way to make a quick single-serving of this delicious brew.QUALITY COFFEE, NOW IN K-CUPS: Since Alfred Peet opened his first coffee shop, Peet’s Coffee has been known for quality coffees, carefully roasted for full flavor. Now that quality flavor is in the convenience of single serve K-Cups for all Keurig Brewers.